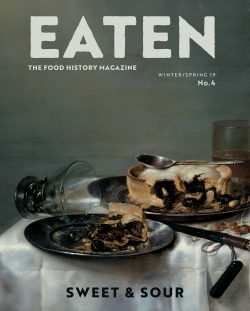 Eaten is a new, beautifully designed print magazine focused on everything food history. Three times a year we publish a new volume filled with a cornucopia of old recipes, enlightening gastronomic essays, and the fascinating and forgotten tales of the people who have grown, cooked, and enjoyed all things edible over the centuries. Our contributors and readers are a cohort of passionate journalists, historians, and gastronomers eager to celebrate the past and present of what we eat. Put a Egg On It is an irreverent digest-sized art and literary magazine printed on green paper out of New York City. It’s about food, cooking and the communal joys of eating with friends and family. The magazine is …..